A new gem of a restaurant opened up late last year, that has been under the radar, and I think everyone should know about it. The restaurant is Barrio 47, in the West Village, bordering the Meatpacking district, in what used to be Pasita. Much of the menu utilizes a wood-fire oven, and pairs with classic and specialty cocktails. 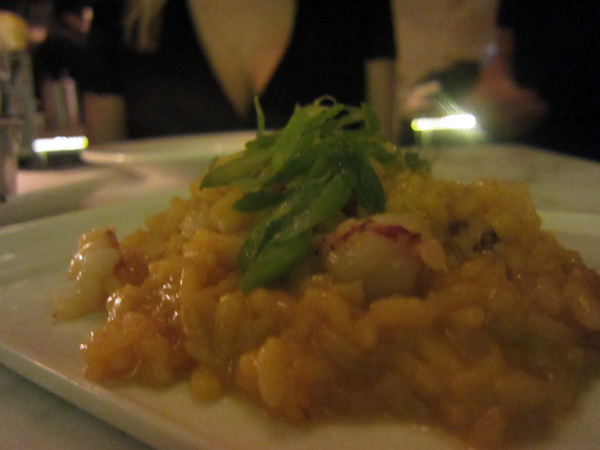 Every dish I ate last month was excellent, and I was surprised how much I loved the food here. Chef Miguel Rosado, and owners Alex and Roman Volland definitely know what they are doing. Drop in for a drink and a bite to see for yourself. Try any of their Cocas ($12) (flatbreads that are a specialty from Majorca). The ones I tried were delicious. Marble charred Portuguese octopus ($13), with a trio bean ceviche, is excellent. Perfectly cooked, a great char. Handmade potato gnocchi ($14) with chanterelles, brussels sprouts, pancetta, and parmesan, is sublime. I loved this dish. It was like "butta". 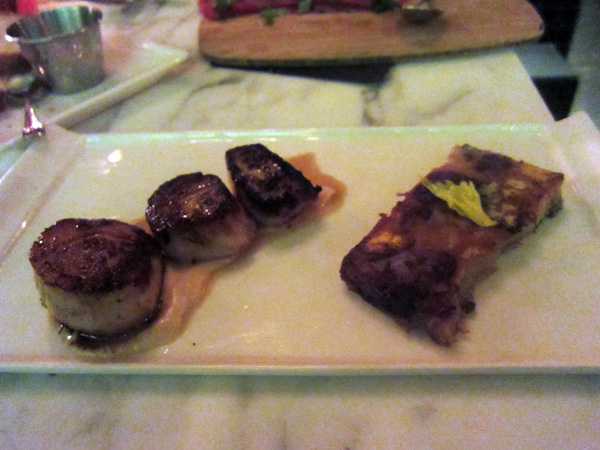 Caramelized scallops ($15), with tri-color cauliflower terrine is also superb. That terrine was so addictive and amazing, it blew my mind. Also fabulous are the Mayan Shrimp ($26). Served with an awesome saffron rock shrimp rice, this dish was tasty as heck. Perfection. So grab a drink and a bite at Barrio 47. Sounds like a great night to me.